The UMD Department of Transportation Services aims to maximize parking options for the university community. By employing the latest technology in parking management—Campus License Plate Recognition (CLPR)—we provide permit holders with a seamless parking registration process and personalized customer service. Our robust sustainable transportation programs incentivize drivers to reduce their carbon footprint by offering discounted carpool and green vehicle permits, as well as electric vehicle charging stations throughout campus. 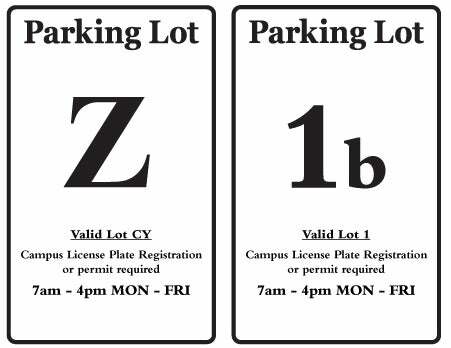 The DOTS parking regulations outline parking requirements and policies for all students, faculty, staff and visitors who park their vehicles on campus. Our enforcement team monitors campus parking 24/7 to make certain that motorists adhere to our parking regulations. Enforcement is critical for campus safety and for maintaining an orderly parking experience. It helps ensure that parking is available for permit holders and visitors. It ensures that emergency vehicles have access to campus facilities. It prevents hazards that improperly parked vehicles may cause. The enforcement team does not handle moving violations on campus. Do you need help navigating campus parking? This list of 10 tips will set you up for parking success. Temporary posted signage is one way we inform parkers about impending lot closures; however, we also email all permit holders with critical parking update information. Parking registrants will receive emails from DOTS when events, construction, etc. may affect their parking. Make sure the email associated with your parking registration is one you read regularly, and double check that the emails aren’t going to spam or any other folders automatically. Signs with black text are unrestricted after 4:00 p.m. on weekdays and weekends. Lot signs with red text have unique restrictions. Signs that begin with a letter are considered faculty/staff lots, regardless of any sub-number that follows. Signs that begin with numbers are considered student lots. The text below the lot assignment number/letter indicates any special lot restrictions. During the times when a lot is restricted, it is only open to vehicles with permits for that lot. 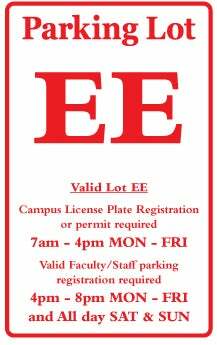 After 4:00 p.m., these lots become unrestricted only to faculty/staff with valid parking registration. 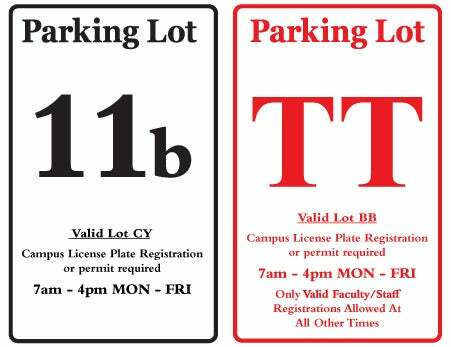 From 4:00 p.m. to 8:00 p.m., these lots become unrestricted to faculty/staff permit holders only. After 8:00 p.m., anyone may park here until 7:00 a.m. the next day. These lots are restricted at all times to permits or vehicles with CLPRs corresponding to these areas. In addition to our standard lot signage, temporary posted signage can indicate that a lot is or will have additional restrictions for a special event or construction. Please notice these signs as you park your vehicle. 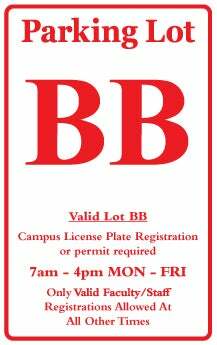 If you plan to park on campus regularly, we recommend you purchase a parking permit to guarantee space. However, many campus lots are unrestricted after 4:00 p.m. on weekdays and on weekends. These lots are highlighted in green on our campus map. There are exceptions to these free parking times and locations. Commuter registrants may not park overnight Monday to Friday from 3:00 a.m. to 5:00 a.m. Students with commuter permits who need to occasionally park overnight should consult our overnight parking map. 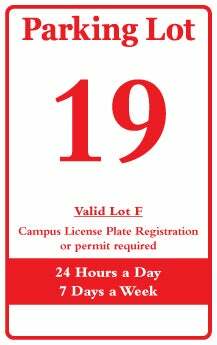 Commuter students who live off campus and require regular overnight parking should purchase an overnight storage parking permit. These are available on a first-come, first-served basis. There may be times when these lots are restricted for special events, such as athletics games. In these cases, posted signage will indicate additional, temporary restrictions. During the following breaks and holidays, any vehicle with OR without a current DOTS permit/CLPR may park in Lots 1, 2, 3, 4, 5, 6, 7, 9, 11 and 16. Faculty/staff lots and meters are enforced as usual. The following dates are subject to change. 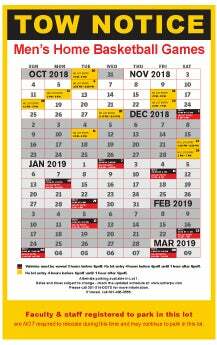 Please check back to ensure these dates are the same before parking during these breaks and holidays. Additional restrictions apply for athletic and/or special events that occur during these breaks and holidays. These additional restrictions could limit or eliminate access to free parking.